After breakfast, our Majestic Kilimanjaro Driver Guide will pick you up from your hotel to start your first day’s game drive in Tarangire National Park. 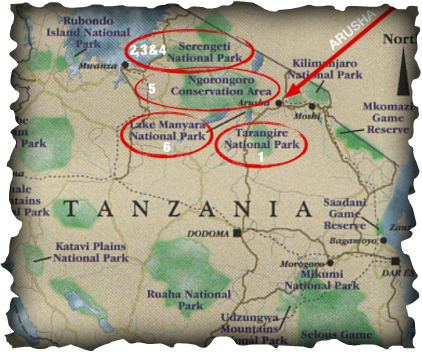 This is Tanzania's fourth largest park offering diverse wildlife and scenery including giant baobab trees. 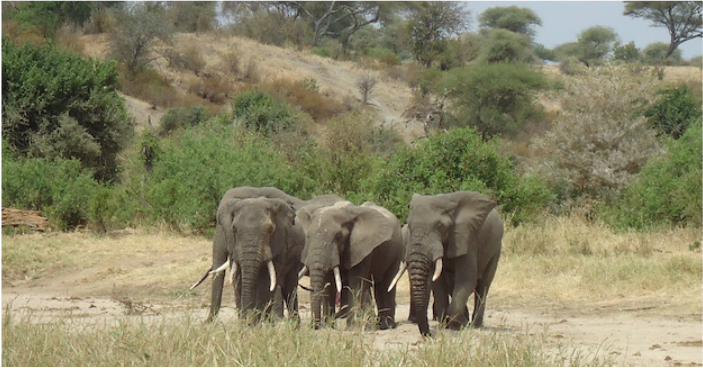 It is home to the largest herds of elephants in East Africa. These herds migrate along the wildlife corridor to nearby Lake Manyara National Park. Animal population here rivals that of the Serengeti so you will also have a chance to see wildebeests, zebras, elands, hartebeests, buffalos, gerenuks, fringe eared oryx, and flocks of birds of many different species. We start your journey after breakfast to the famous endless plains of Serengeti, via Ngorongoro Conservation Area. 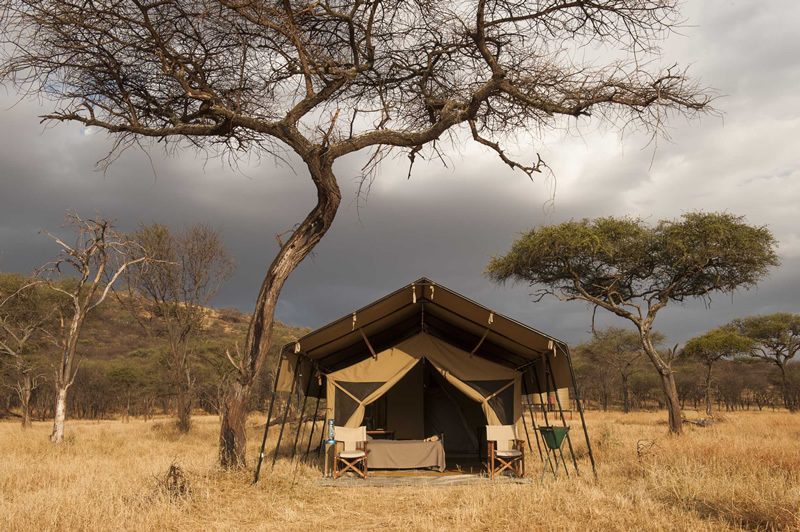 While enroute to Central Serengeti we will game drive to explore the many different areas of the park which holds an impressive variety of cats such as lions, leopards and cheetahs that roam freely. We set off for a very early morning game drive in the Serengeti. Early morning is when animals are at their best and it’s the ideal time to see game as the temperatures are cooler and typically lions, cheetahs and leopards roam the vast grassland in search of prey. We eat breakfast either while out in the park with a packed breakfast box or you can return to the camp for hot breakfast by 9am to 10am. If we stay out all morning, we’ll return to camp for a hot delicious lunch or again you can choose to have packed lunchboxes at the picnic site. It is good idea to take a break at the camp as we will be setting out again in the afternoon for a game drive that will have you view life in the Serengeti at sunset. All meals and overnight at Serengeti Kati Kati Tented camp. After breakfast, we’ll do another short game drive in the Serengeti and then drive to see the spectacular sites of the Ngorongoro Conservation Area. We’ll stop on the way and enjoy a picnic lunch and magnificent views, arriving at your Lodge for dinner and overnight stay. 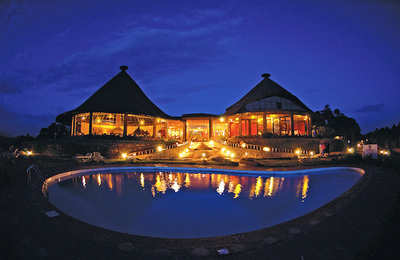 Today we have an early departure into the world famous Ngorongoro Crater for a game drive. Known as the eighth wonder of the world and land of the Maasai people, this protected area is located in the Great Rift Valley. Volcanoes, mountains, plains, lakes, forests and archeological sites form this magnificent landscape. There 25,000 animals live permanently in the crater including the now rare black rhino. 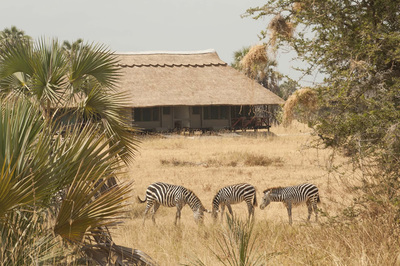 The crater is an ideal place for game viewing and excellent photography. 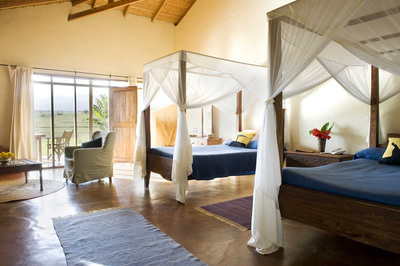 In the afternoon after a picnic lunch, we will will head out of Crater to the small town of Karatu for our overnight stay. 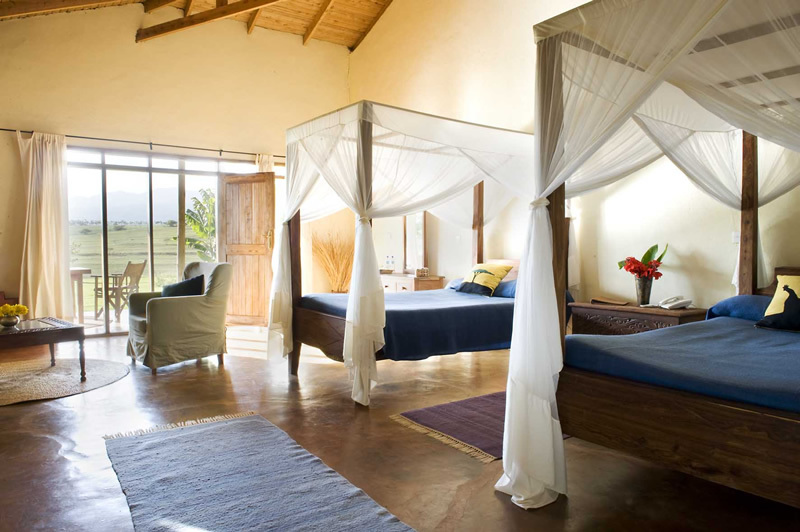 We leave the lodge this morning and drive towards the Great Rift Valley and enter Lake Manyara National Park - known for it's incredible beauty and famous for it's tree climbing lions. It has a lush forest, woodland, grassland, swamps and soda lake. The area covers 390 sq km and is a sanctuary to over 350 species of birds - pelicans, storks, sacred Ibis, flamingos and many more. 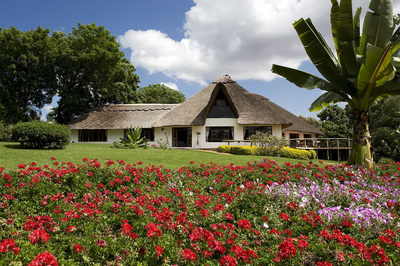 It also has buffaloes, elephants, hippos, giraffes and a variety of smaller animals. 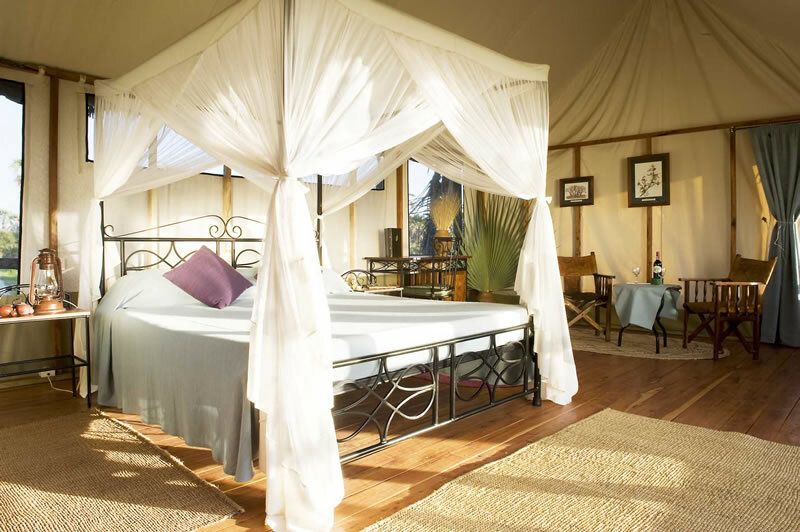 After few hours of game viewing and a picnic lunch, we drive back to Arusha for your use of a day room where you can freshen up before proceeding to JRO Airport for your evening / night flight back home. 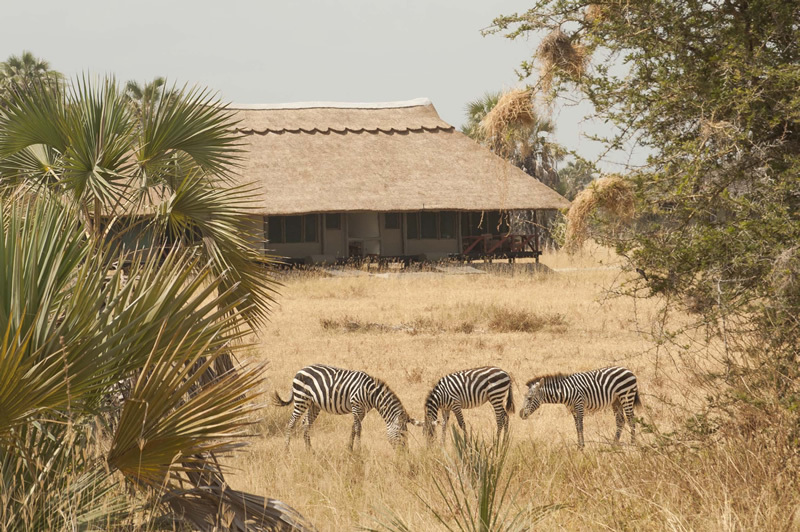 Maramboi Tented Camp offers permanent luxury camp facilities and endless vistas of rolling golden grasslands and palm lined desert between Tarangire and Manyara Lake. 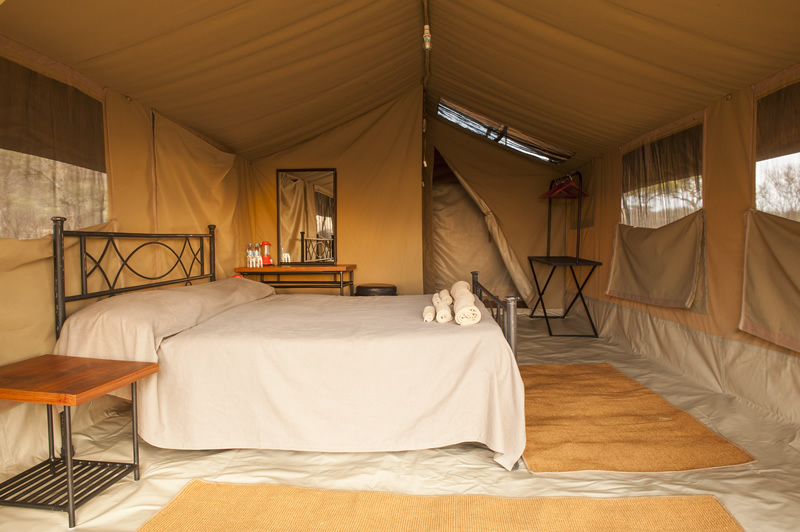 A mobile tented camp in Central Serengeti, it offers comfortable accommodation and a unique opportunity to enjoy a real safari camp experience. 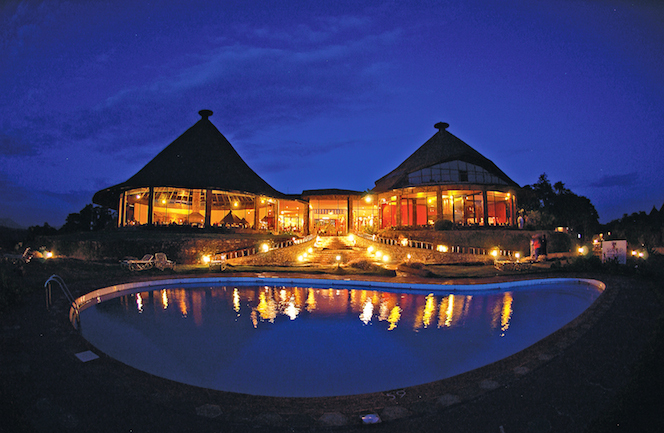 Ngorongoro Sopa Lodge stands well over half a kilometre above the crater floor and offers unparalleled views across this enormous caldera.